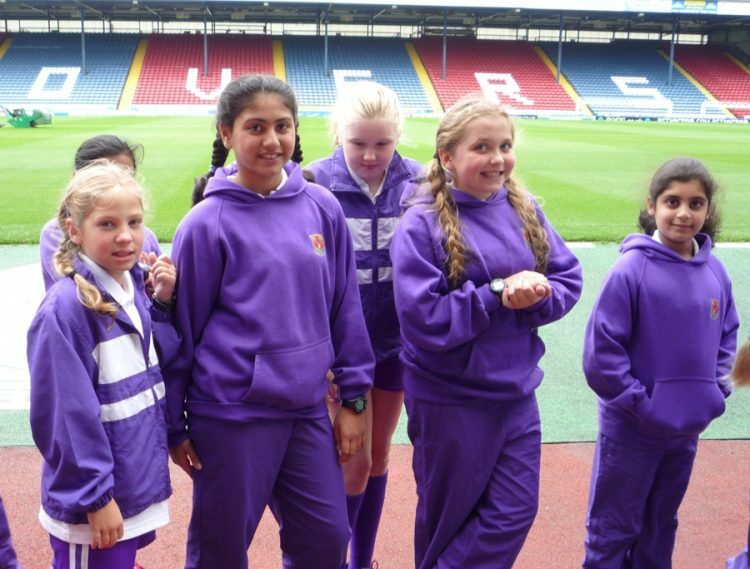 Our Year 6 girls recently spent the day at Ewood Park in the Blackburn Rovers’ Education Centre. The focus for the day was a science investigation into the effect of exercise on the heart rate. After much discussion on how best to conduct the investigation, the girls were all fitted with heart rate monitors and were required to jog a selection of short distances on the warm-up track at the side of the football pitch, recording their heart rate after each distance. Armed with their individual results, they then spent time in the ICT suite typing up and evaluating the investigation. Following an intensive morning of excellent science, the girls enjoyed an hour of football skills at the BRIC after lunch and, before their return to school, they were treated to a tour of the stadium, venturing into the players’ changing room and marvelling at the trophy cupboard! As always, it was a great day and much enjoyed by all.